OEM parts for cranes and hoists including R&M, ACCO -Wright, CM, Coffing, Yale, P&H, Sheppard Niles, Lift Tech (MMM/CM/Shaw Box), Cleveland Tramrail, DeShazo, ACE World Companies and many others. Custom made parts for older equipment no longer serviced by the original manufacturer such as wheels, axles, gears, bearings, seals, etc. 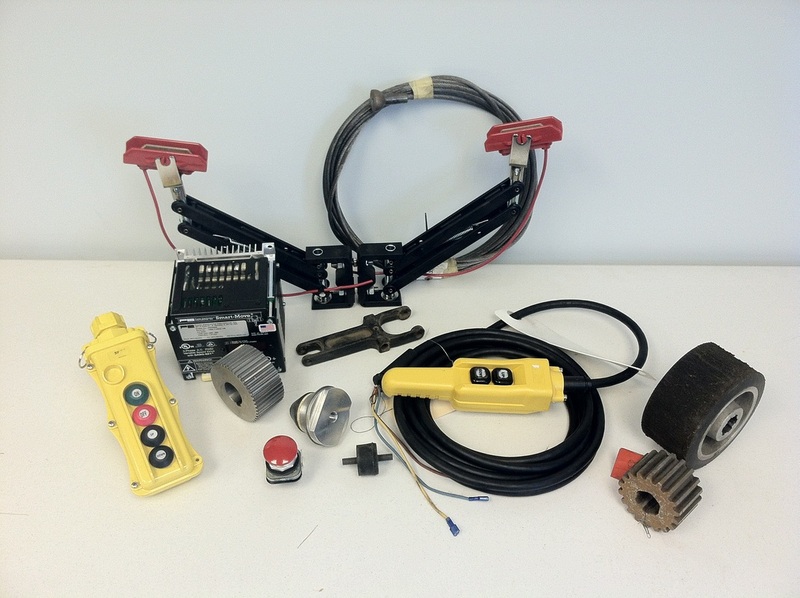 Generic replacement parts for cranes and hoists. Over the years, PDS has located sources for many replacement parts such as contact tips, contactors, brake shoes, friction discs, bearings, seals, brake wheels, brake studs, etc., etc. We are also able to duplicate over 5,000 gears, shafts, axles, wheels, etc. Aftermarket parts can offer a substantial savings and vastly improve delivery times compared to normal OEM delivery schedules. Crane serial numbers are located on the trolley and bridge. Hoist serial numbers are stamped on the name plate.